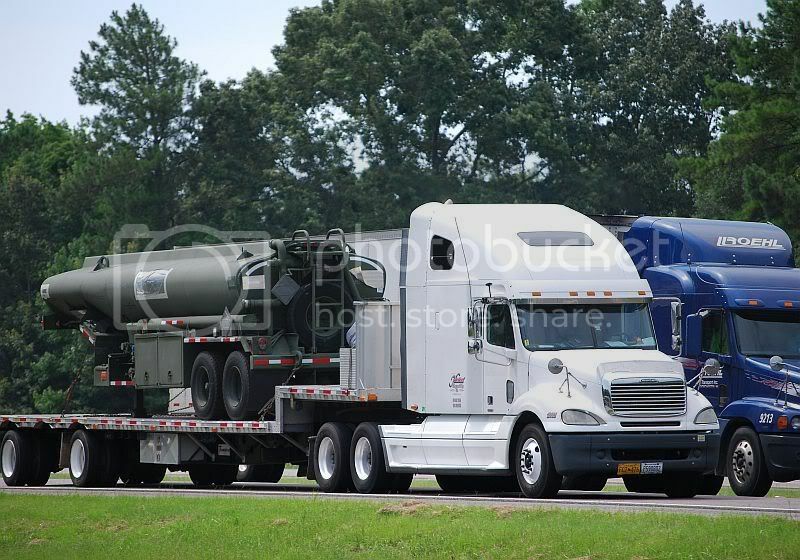 There were at least a half dozen of these tanker loads that came by over the course of several minutes. 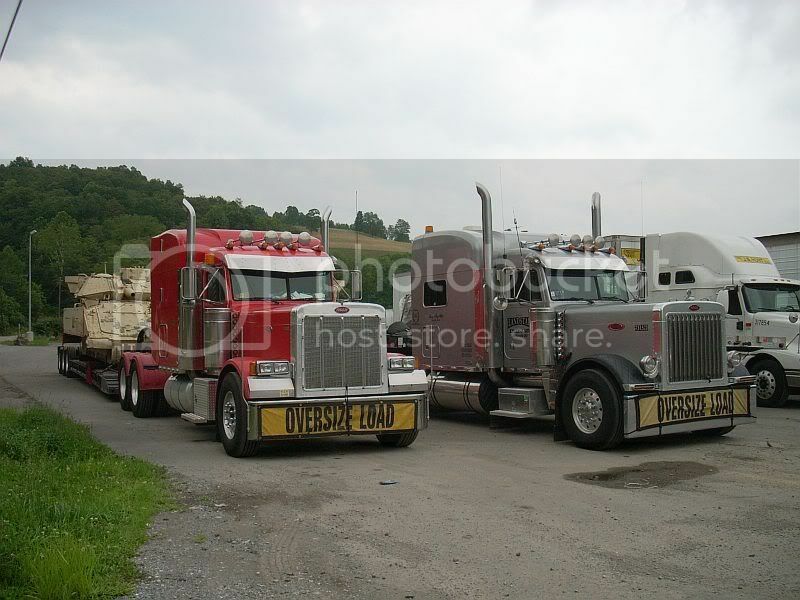 These two tough looking Landstar Petes were laying over at the Jane Lew Truckstop in Jane Lew W.Va. on Sunday 7/13. 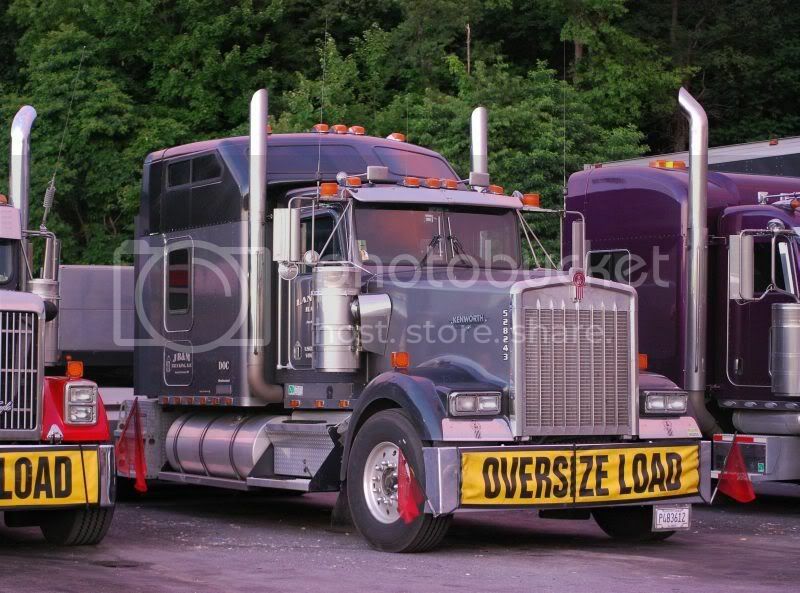 Landstar trucks were laying over with their oversize tank loads. Cool pics. 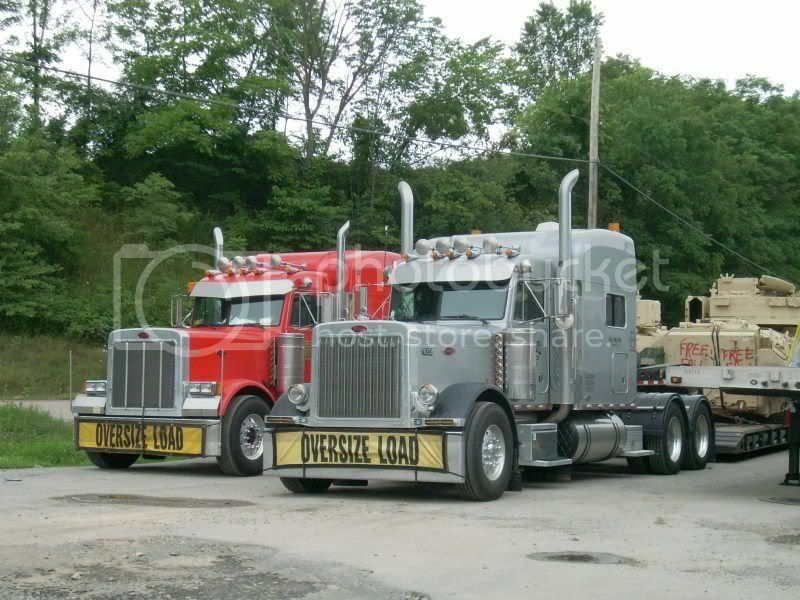 Interesting loads. And most of those Petes are not plain jane ones either. 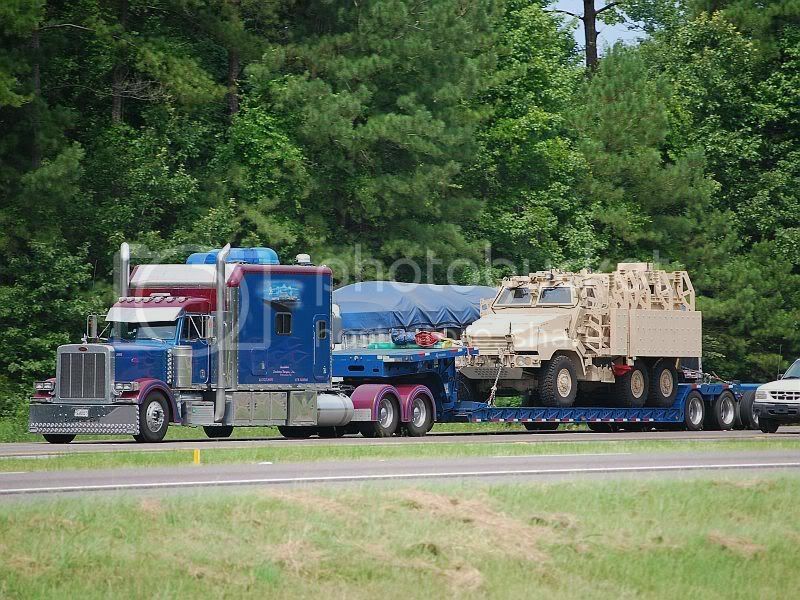 So I guess Landstar handles all (or most) military loads? Very interesting pics Paul. 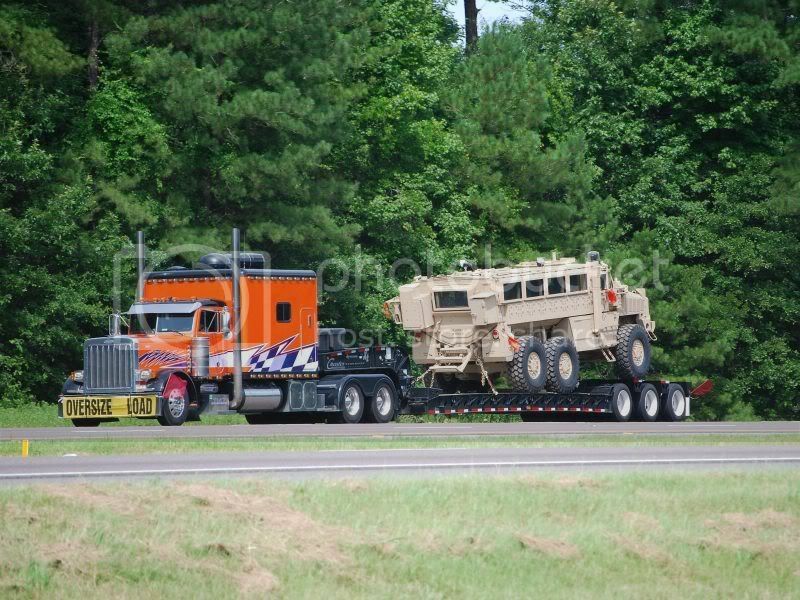 Seem that those military jobs pay for outstanding trucks.. 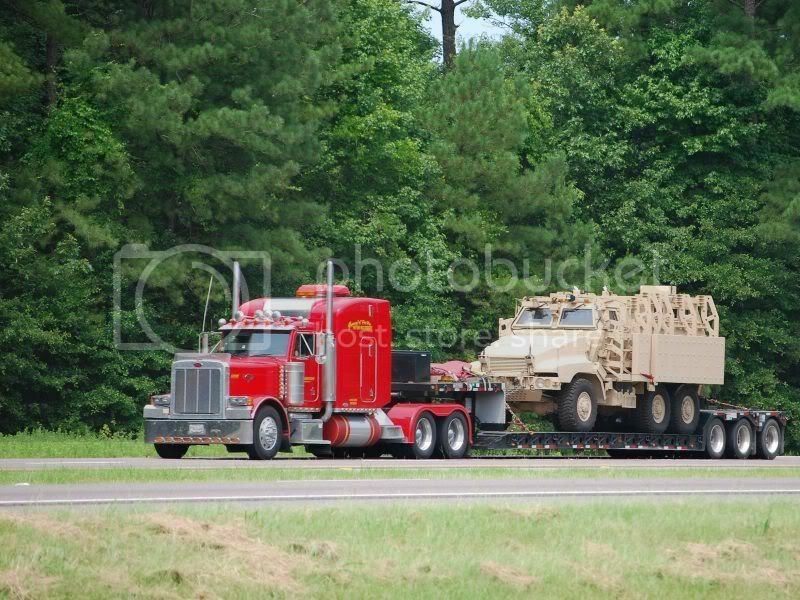 In your first series of pics the vehicles were various types of MRAPs. 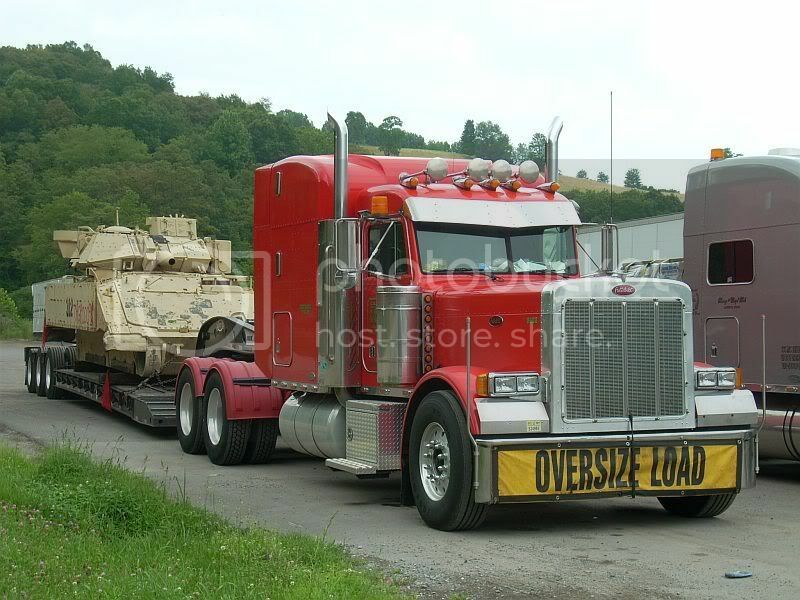 In your 4 truck stop pictures those are M3 Bradley AFVs, not Tanks. 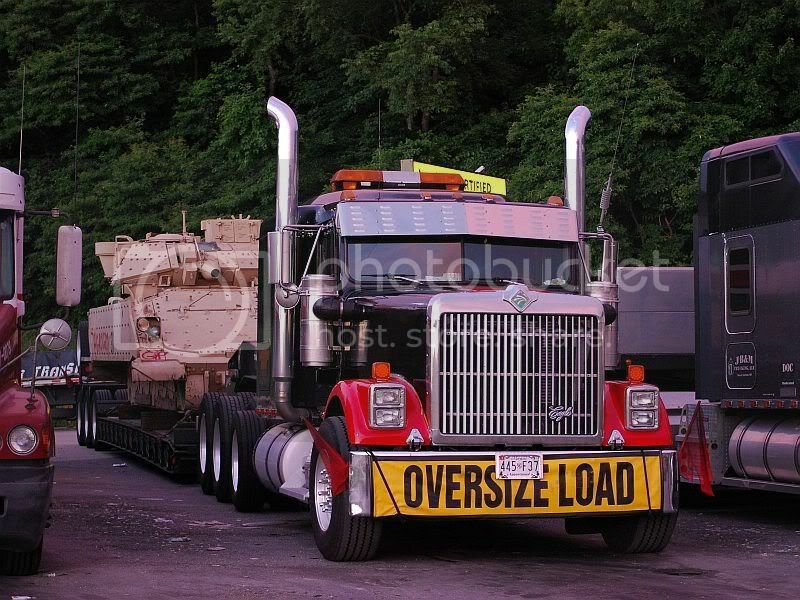 tanks require special lowboys to transport. 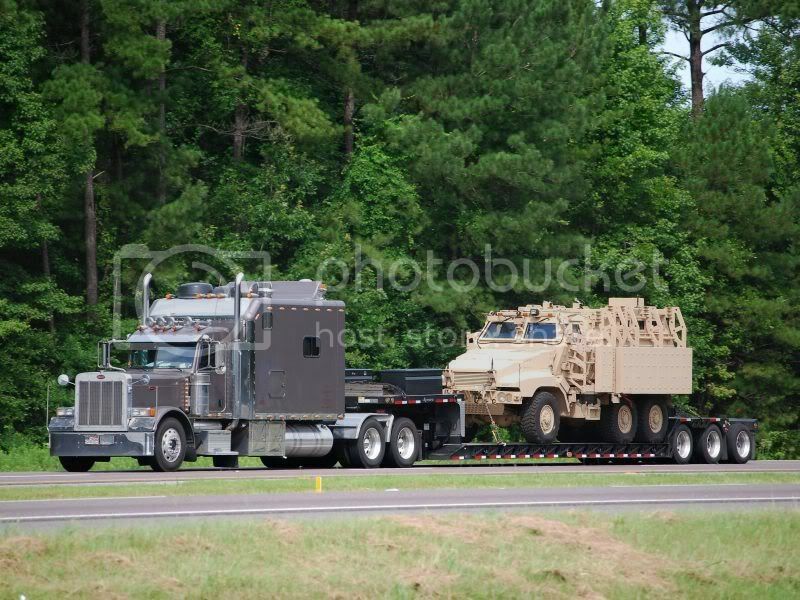 BAE Systems works through its Public Private Partnership with Red River Army Depot (RRAD) in Texas to remanufacture and upgrade these vehicles. Initial disassembly and subsystem rebuild is performed at RRAD. Further disassembly and structural modifications is performed by BAE Systems in Fayette County, PA. The final assembly, integration and test is conducted at the BAE Systems facility in York, PA. Unlike RESET programs, designed to replace all defective or worn parts and restore/service a vehicle back to pre-combat condition, remanufacture is a complete rebuild designed to return it to full “zero miles” condition, and install upgrades. 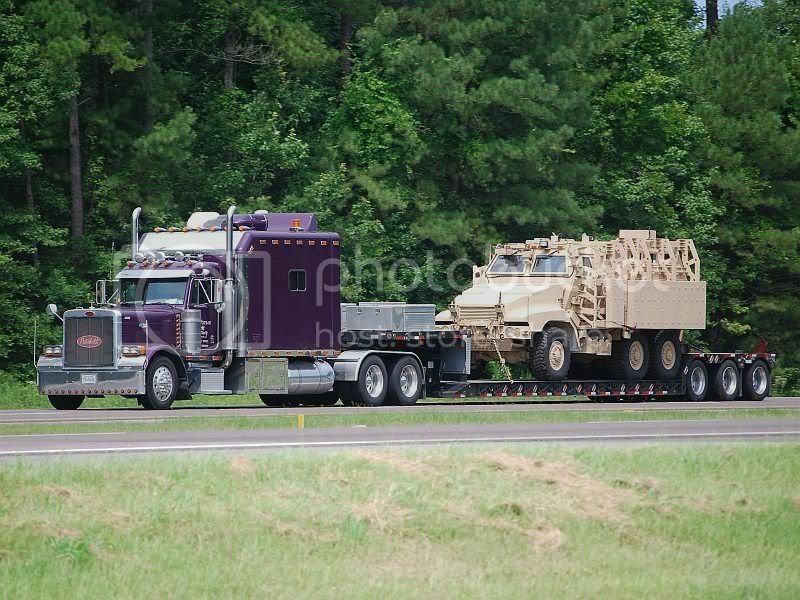 Unless otherwise specified, the U.S. Army Tank-Automotive and Armaments Command in Warren, MI is the contracting agency and BAE Land Systems and Armaments is the contract recipient.